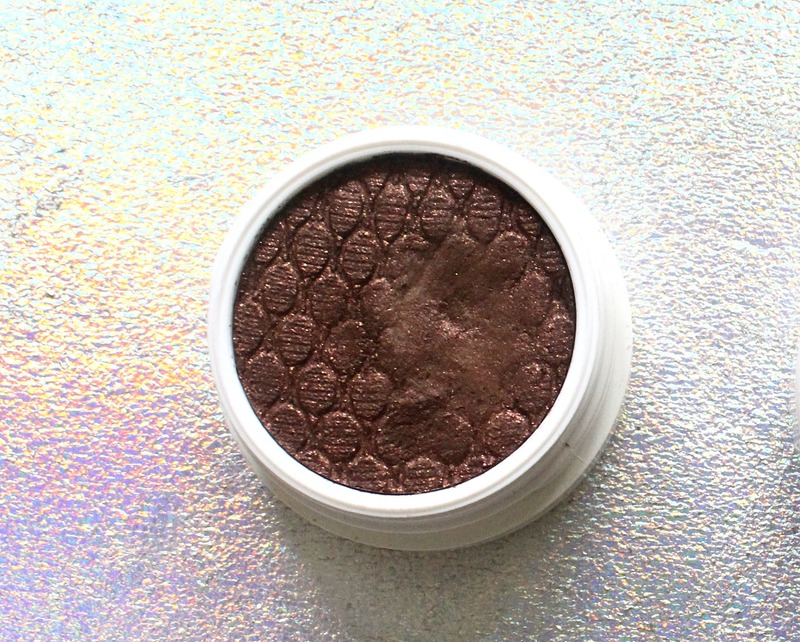 This was the first shade that I put into my basket 'Get Lucky', which is of an ultra-metallic formula and it is by far my most used eyeshadow from the four. Colourpop describe this shade as a 'true gold' and I agree. It is a gorgeous extremely pigmented, gold shade with not a lot of warmth to it. In fact I would say it does look like a duo chrome with silver in some lights, and though it's definitely a gold shade, there is a hint of silver/coolness. For most of summer 2015 I was using my bronzer in the crease and then applying this all over the lid - good to go. Super effortless yet very put together at the same time. I always apply this with my finger, for maximum pigmentation and I do really like having this shade in my collection. Sometimes gold can be a little too much for everyday, especially as this does have a very metallic finish, but I do find it to be versatile. Repurchase? I actually didn't pick any of these shades up again in my 2016 orders, however I would repurchase this in the future! To-A-T is essentially a great transition shade and again aptly named. A mid-toned brown, which works well for every single day. 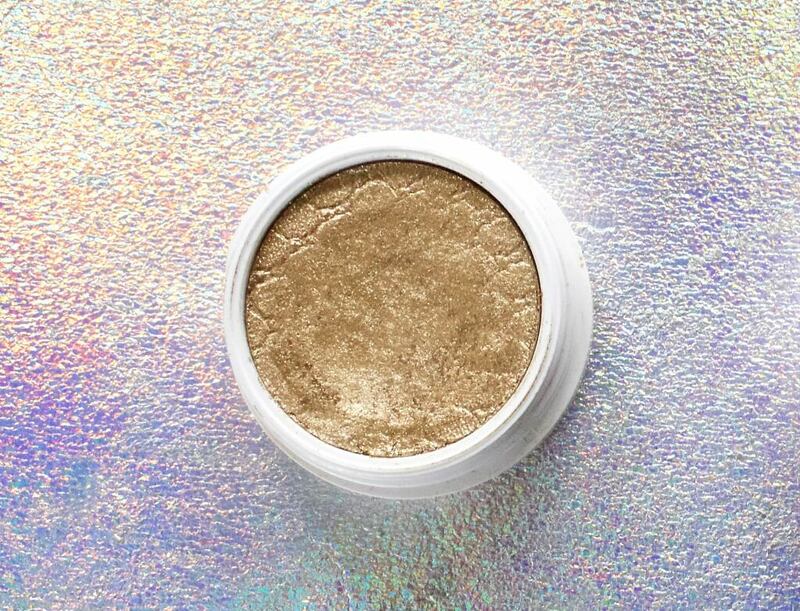 You may know that the texture of the super shock shadows are very unique, they aren't creamy, but they aren't powder either - very much an in-between kind of squishy texture. I do like this shade and find it works well with other colours, but I don't pick it up enough. The colour isn't quite unique enough for me to actively search for it in my stash and usually I'll just grab my bronzer and buff that into the crease instead. Repurchase: No. I'd recommend this if you don't own many palettes or eyeshadows, and you're just looking for a couple of shades from colourpop. In that case it is very versatile, however I'm sure the majority of us have a similar shade already! The next shade that I picked up is Shop and I'm sure I must have seen it in a few tutorials on youtube and been inspired because it's really not the typical kind of colour I'd go for! Shop is described as a rusty coral and it is a matte formula. Although it looks quite bright in the pan, it translates as more of a softer shade. I again agree with their description of the shade, however their mattes are not actually true matte shades. They all have a bit of sheen to them, and shop even has the faintest golden shimmers which don't really show on the eyes, but do when swatched once or twice. Although I was intimidated by it for a long time, applied with a small blending brush right into the crease and WOW, it is gorgeous! The perfect hint of a pop of colour, for those like me who tend to gravitate towards neutrals day in day out. I have a feeling I'll be getting a lot more use out of this over the next few weeks. Also shop and to-a-t go together beautifully well! Repurchase? Since picking this shade up I have purchased quite a few similar colours which work in a similar way, so although I am loving using these it's not on my repurchase list. The final shade is Mooning, a GORGEOUS buttery dark rich chocolate shade. It is extremely pigmented, one swipe and I have more than enough to pack the shade all over my lid. There are some shimmers/glitters in this shadow, lighter brown and red sparkles but they only show up when swatched. I did try packing this on with a small brush in the crease to see if the shimmers would show, but I didn't have much luck. Anyway this is another shade which, like 'to-a-t' is a perfectly good shade but I just don't reach for it enough. I think I'll be keeping this with my general palettes, so when I'm doing more of a smokey eye I can pop some of this into the look. It's not an everyday kind of shade for me at all and as lovely as it is, I just haven't really gotten my moneys worth unfortunately. Repurchase: No. It's too dark for all over the lid (for me anyways!) and like I said I've not worn it enough since its been in my stash. 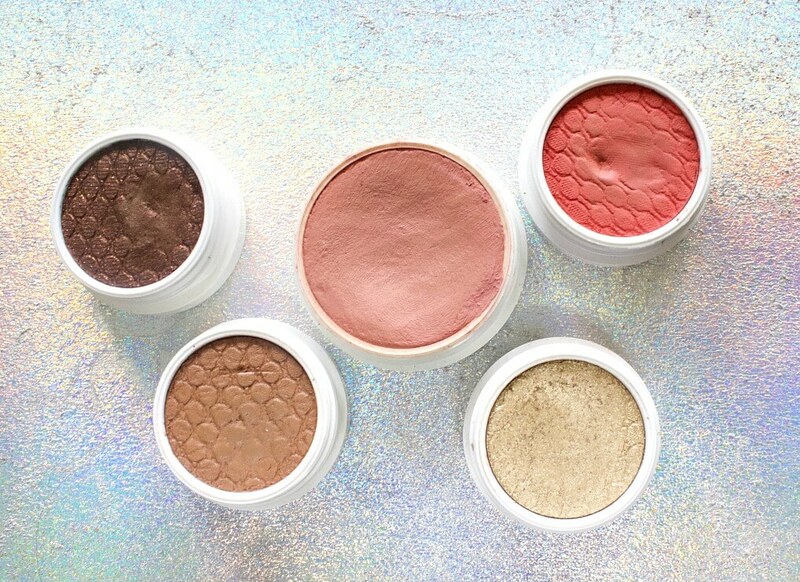 All in all, my personal opinion is that as lovely as the colourpop super shock shadows are, you should be picky when choosing from the extensive range. Personally I'm only going to be purchasing either the shades that'll make my eyeshadow look pop (vivid golds, glittery shades for packing onto the middle of the lid, bronzes etc) OR shades I'd use everyday, but that are unique. I now own a tonne of of Makeup Geek shadows, so I don't really want to be picking up more shadows from colourpop that are super pretty...because there are far too many! So I really recommend watching youtube tutorials, googling shades and thinking carefully about how often you'll use that shade and if you really need it. Another thing is that the formula of these means they have to be closed really tightly. So I don't know if its just because I'm a little lazy, but having loads of pots to open and close over and over gets a little tedious to me! Plus they're quite bulky in size, and although they do fit into muji drawers, I really don't have the space to have loads and loads of these in my collection. 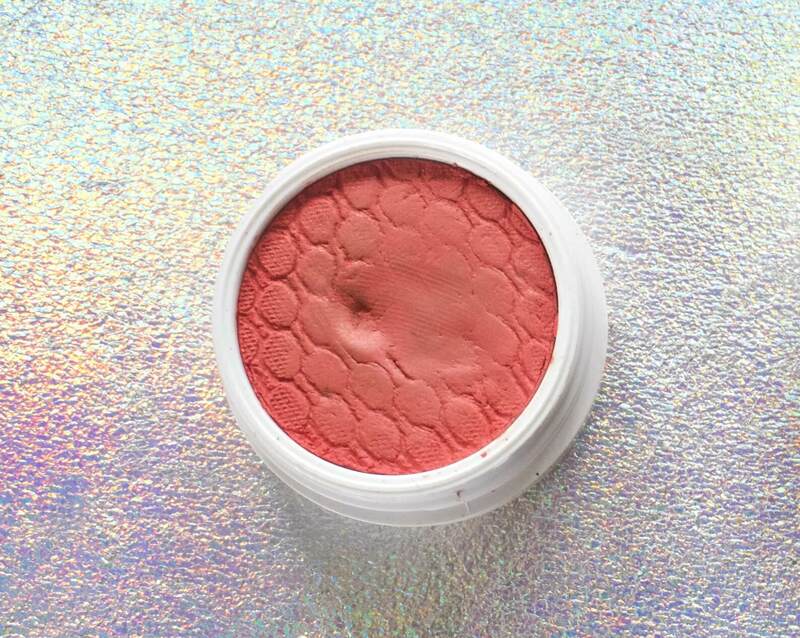 I do have one or two hauls coming up soon from colourpop, which is exciting. I'll also be updating my post on how to ship colourpop to the UK, as the site I used this time is a lot cheaper than the last yaaaaaaaay! 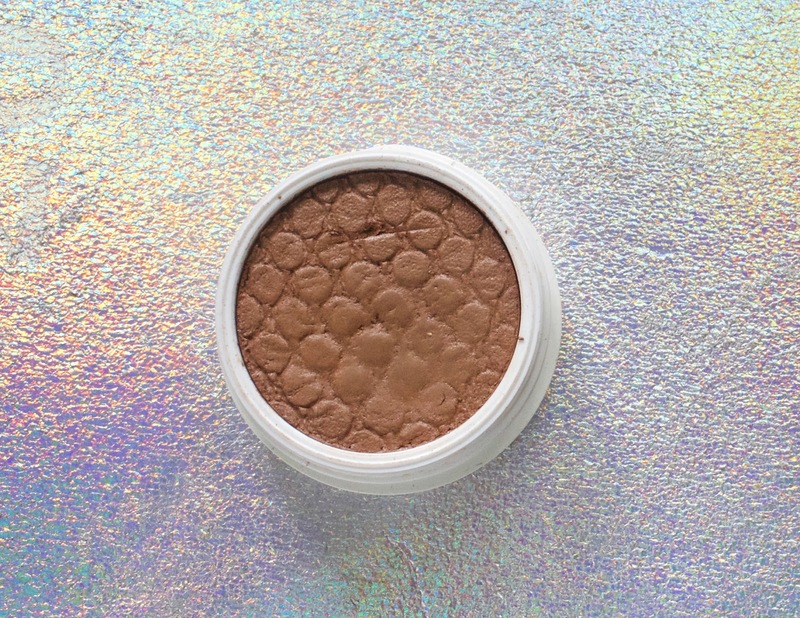 Have you got any favourite super shock shadows? What are your thoughts?